AT&T (s t) defended its ambitious $39 billion acquisition of T-Mobile Monday morning by emphasizing three potential payoffs: spectrum, synergies and the public good. In the first instance, AT&T claims it needs T-Mobile’s spectrum quickly in order to meet users’ skyrocketing demand for data in the next three to five years. The “synergies” spiel was aimed at winning Wall Street’s favor; AT&T projects about $10 billion dollars in savings over the next four years as well an anticipated boost in wireless profit margins. And the public good? That was hammered home multiple times as part of AT&T’s efforts to convince regulators this deal is basically what President Obama himself aspires to in his nationwide wireless plan. So let’s break down the facts, the fictions and the arguments behind AT&T’s key points on Monday morning’s conference call with analysts. Fundamentally, this deal paves the way for a telecommunications duopoly that will soon rival the wireline broadband world. AT&T CEO John Stankey said AT&T will use T-Mobiles AWS spectrum in the 1700 MHz band for its Long Term Evolution network rollout. It will also use the 700 MHz spectrum it bought from auction in 2008 and will proceed with its $2.2 billion plan, announced earlier this year, to access Qualcomm’s 700 MHz spectrum (s qcom). Stankey said the current LTE plan is still on track with the first deployments coming this year and the rest coming in the next three years. He said AT&T and T-Mo will roll out the remaining rural coverage in 2013. For its 3G network, AT&T will deliver UMTS and HSPA on its existing 1900 MHz and 850 MHz bands. After the deal closes, AT&T will make efforts to get existing T-Mobile customers using AWS handsets to give those up so it can clear that swath of spectrum for LTE. Stankey expects the network integration to take place for all T-Mobile customers within two years of the deal closing. 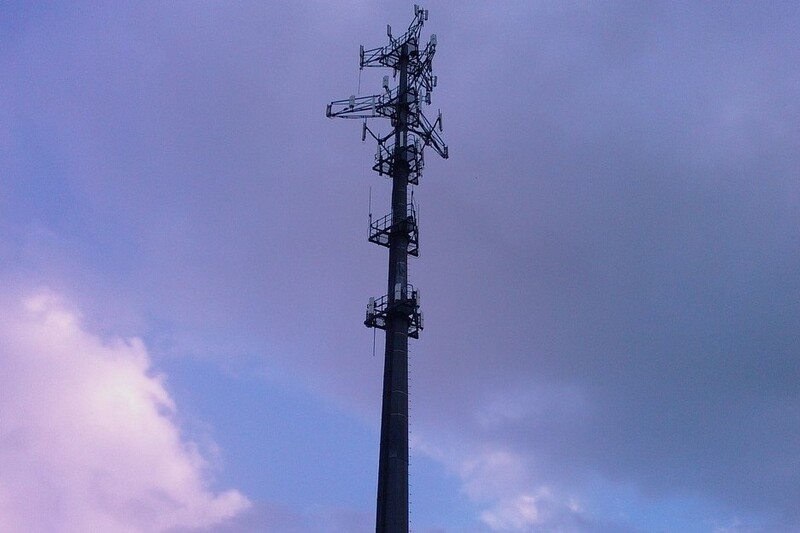 Closely tied to the spectrum resources will be the tower infrastructure that T-Mobile already has. While Stankey declined to tell analysts how many towers would be decommissioned as part of the merger, he was excited to talk about the greater density those towers offer in urban areas. AT&T expects $10 billion in cost savings over the next four years, although it also expects to spend about $7 billion on costs associated with the deal. However, closing T-Mobile stores, laying off workers (by “natural attrition,” cutting advertising and not having to buy more spectrum in the near term will generate savings. Plus, the combination should reduce churn for T-Mobile as well as boost wireless margins. AT&T said its wireless margins increased by 1,000 basis points after it acquired Cingular in 2006. Here’s where AT&T laid it on extra thick. Again and again it emphasized this deal will result in LTE coverage for 95 percent of the country and will add LTE service for 46.5 million Americans. Here’s the rub with that claim: AT&T says it already covers 98 percent of the country, so clearly not everyone it covers will get LTE. Plus, the company has never explained exactly how many people its planned LTE network would cover. Verizon, on the other hand, had promised to upgrade its entire 3G footprint by 2013, or 97 percent of the country. So while President Obama has called for 98 percent of the country to have wireless broadband, it’s not like this deal makes that happen ahead of the curve. It merely makes it possible for AT&T to offer LTE coverage over more of its existing footprint. We are confident AT&T would have worked through both the political calculus and the hard numbers before agreeing to a $3 billion break-up fee, and AT&T has a sterling record of getting deals approved by the government. But we do not expect they had “socialized” the merger with DOJ or the FCC in advance, and we believe there is a large measure of uncertainty necessarily inherent in the deal. The sentiments are similar to my story yesterday, which points out that a weak T-Mobile is no sure hedge against competition and the public interest goals of nationwide wireless coverage may supersede those worries. The report reiterates my thoughts that the likely conditions on this deal could include special access concessions, data roaming concessions and perhaps network neutrality provisions. The Communications Workers of America are already behind the merger and AT&T executives said T-Mobile’s employees will be able to join the union, an emphasis that is aimed at raising Democratic sympathies to the deal. When asked about any FCC or DoJ conditions associated with the deal, Watts said AT&T is open to those discussions, but would not elaborate at the moment on what it will accept. He said AT&T was confident that it could demonstrate how the deal would affect competition and said that wireless prices have declined by 50 percent in the last ten years, despite several mergers. However, as Tom Esvlin points out in his blog post, the continuing march of Moore’s Law would seem to dictate that wireless prices should have fallen my much more in the preceding decade. To really understand the declines in price we’d have to understand data usage over that time as well as network efficiencies. My overall take? I’m beginning to think that absent huge public outrage or a strong push from Sprint (s s), Google (s goog) or other large players in the wireless ecosystem, AT&T will manage to concentrate more spectrum and more control of the wireless ecosystem in its hands. The picture of that future is a grim one, even if the Department of Justice and the Federal Communications Commission wring out concessions because AT&T isn’t always the most consumer friendly company on the block. All the whiners seem to conveniently forget that T-Mobile was going nowhere and not providing any real competition. AT&T will put T-Mobile’s resources to better use than they ever would have by themselves. So how does acquiring T-Mobile create more spectrum? It doesn’t, the spectrum is there, available to t-mobile and its subscribers. The deal would only increase the spectrum available to ATT, and it wouldn’t necessarily help their subscribers, as they would now have all of T-mo’s customers. ATT wants to force all of T-mobile’s 3G customers to give up their phones. I like my phones, I don’t want any of the phones that ATT sells. ATT does not give me the option of buying my own equipment, they force me to buy a phone that is subsidized by their high monthly rates. This bundling was outlawed for landline phones in the 1980s, and should be stopped now, but this merger would be a step in the opposite direction. My family has three phones that use T-Mo’s 3G/4G network, and together they cost about $1800. they would all be obsoleted once ATT gets to convert T-Mobile’s spectrum to their LTE network. How is that good for me?